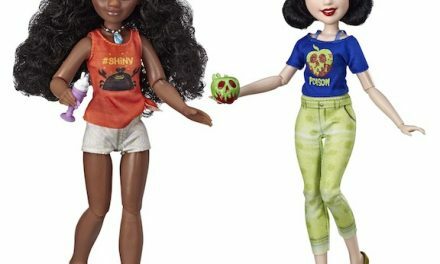 With Halloween right around the corner, it’s that time of year again to question why are dolls perceived as so wicked and conniving. Yes, I said it. Every October, dolls become Public Enemy #1, thought to be capable of wreaking all manner of havoc upon unsuspecting civilians. There are all sorts of films that cast dolls in the terrifying roles of purveyor of evil and demonic possession. 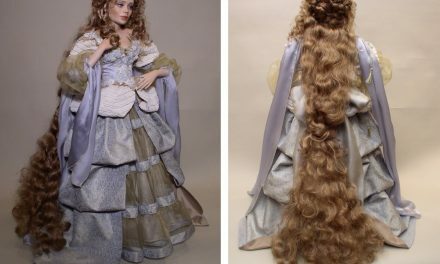 Some of the flicks are extremely low-budget — producers don’t have to worry about paying union wages when their leading lady or man is a doll. It will literally work for free. 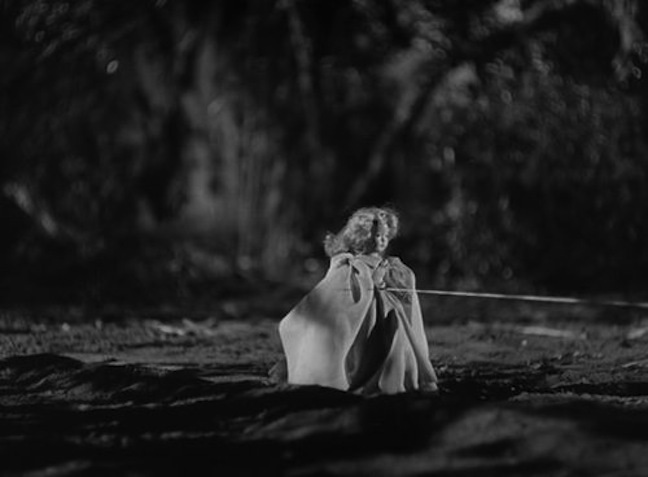 Other times, the dolls can be starring (or at least guest-starring) in moody, evocative pieces of cinema. I think I like my horror the best that way: shot in sulky, dark overtones, suggesting something has gone awry. I don’t like to see my main characters dismembered, and I even prefer having the doll villains exit the films still in tact. 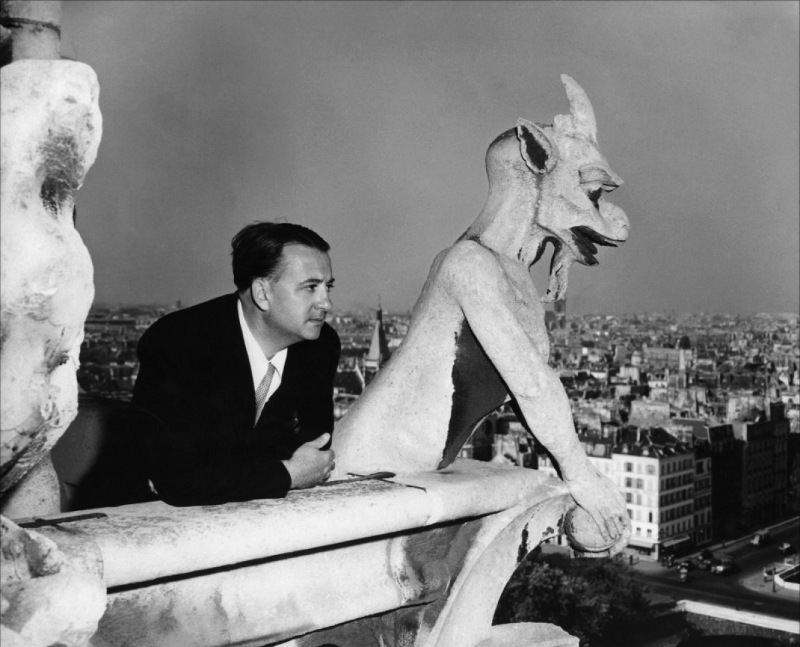 Among horror’s most dignified partnerships were the collaborative efforts of producer/writer/editor Val Lewton and his preferred director, Jacques Tourneur. Lewton was born in Yalta, Russia (now part of Ukraine) in 1904. He made his mark in Los Angeles, California, where he had a brief but brilliant career. A jack of all trades — and a master of all — Lewton was David O. Selznick’s aide-de-camp. 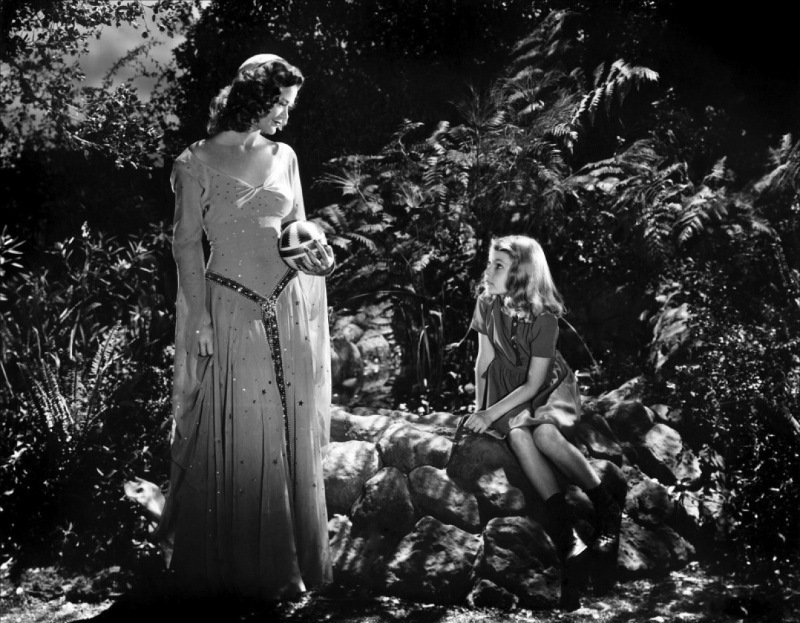 Whatever needed to be done at the movie mogul’s studio, Selznick would call for Lewton, and it would be accomplished. 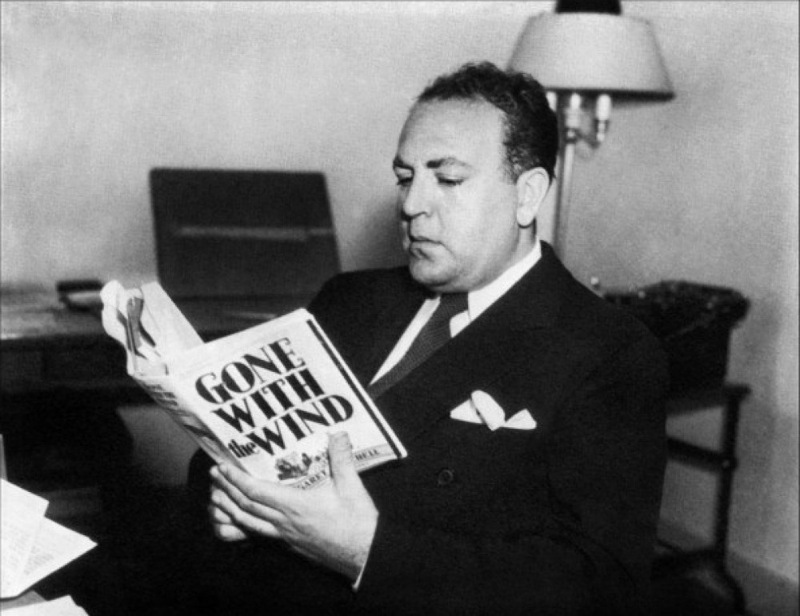 Lewton was a first-rate researcher, and a stickler for historical accuracy. One of the reasons why Selznick’s masterpiece “Gone with the Wind” has such a meticulous and exacting look to it is that Lewton oversaw all of the scene dressing and performers’ costuming. He wanted everything to be as authentic as possible. 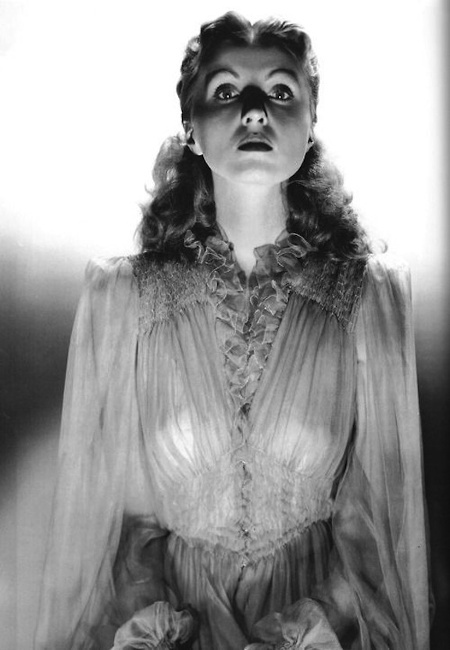 That is why it is so remarkable that Lewton has attained his fame for his scary movies. I would say they are more atmospheric and eerie than scary, but that is how they were marketed, and that is how he has remembered. 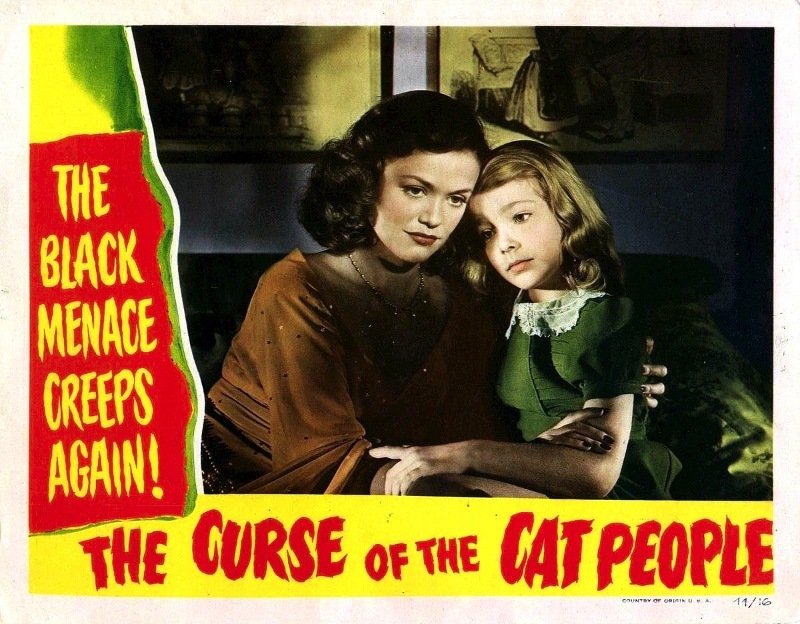 Some of his most famous films are the original “Cat People,” the 1942 version that predates the Nastassja Kinski vehicle by 40 years, “The Leopard Man” (1943), and “The Curse of the Cat People” (1944). 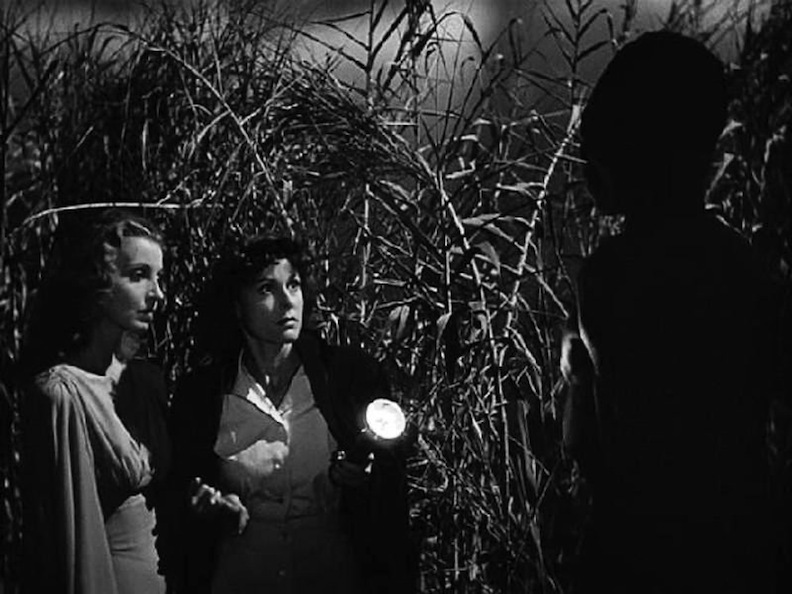 In a truly masterful move of artistic clout, Lewton made this supposed sequel, but created a storyline that — deep down — had absolutely nothing to do with the original film. He wanted to make a movie about isolation in childhood, and how children have deep, dark interiors that can grow aloof and feel abandoned if they are not helped and loved. The main character Amy is shy and introverted. She cannot find solace in her toys, her dolls, her belongings. She only finds contentment in her fantasy life. 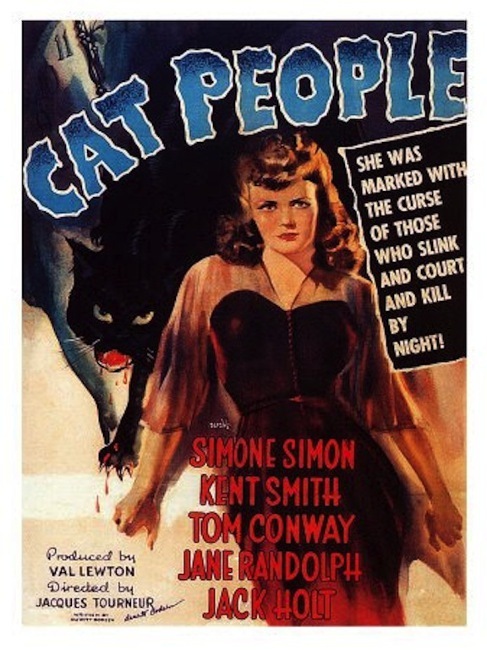 For this purpose, Lewton trotted out Simone Simon, the star of “Cat People,” to make a few mysterious cameos in the film as an “imaginary friend.” It was a brilliant way to have the studio bankroll the screenplay he wanted to co-write and produce, but knew they would never accept. Talk about moxie! Hired by a wealthy plantation owner, Nurse Betsy falls under his spell. 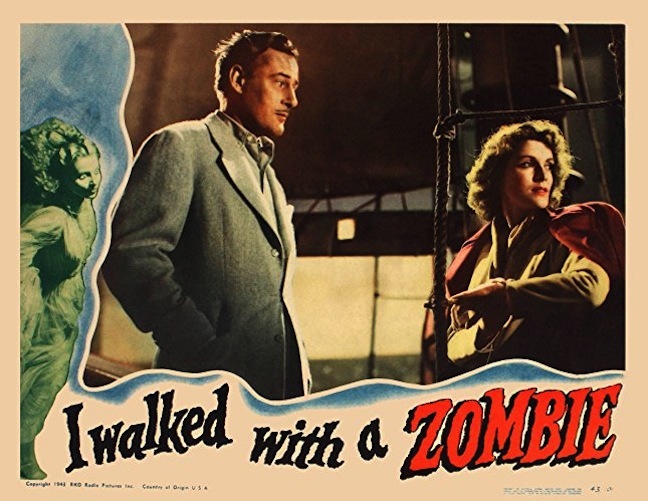 The producer’s 1943 opus “I Walked with a Zombie” is often described as a retelling of “Jane Eyre.” There are definite similarities between the Lewton film and the Charlotte Bronte novel. “Jane Eyre” is credited with being one of the originators of the gothic romance novel. With its poor as a church-mouse governess, brooding and seemingly cold employer, and the secret locked in the attic, it contained the components that distinguish gothic books for nearly 200 years after its publication. 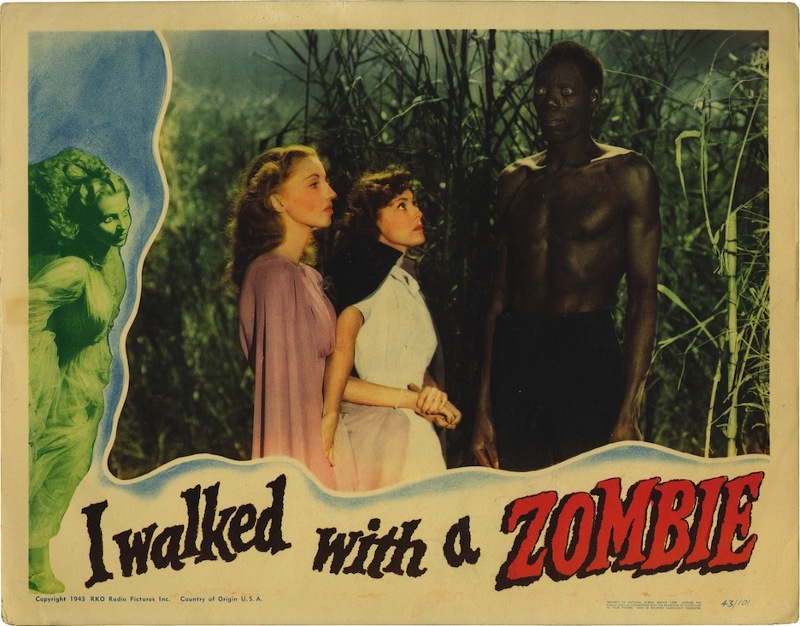 In “I Walked with a Zombie,” Canadian nurse Betsy (Frances Dee) travels to the Caribbean to become the caretaker of a beautiful patient who has seemingly become a zombie. The injured woman, Jessica Holland (played by Christine Gordon), is able to walk about, unseeing and apparently unmoved by anything. She is trapped within her own body. Two brothers in love with the same unfortunate woman. 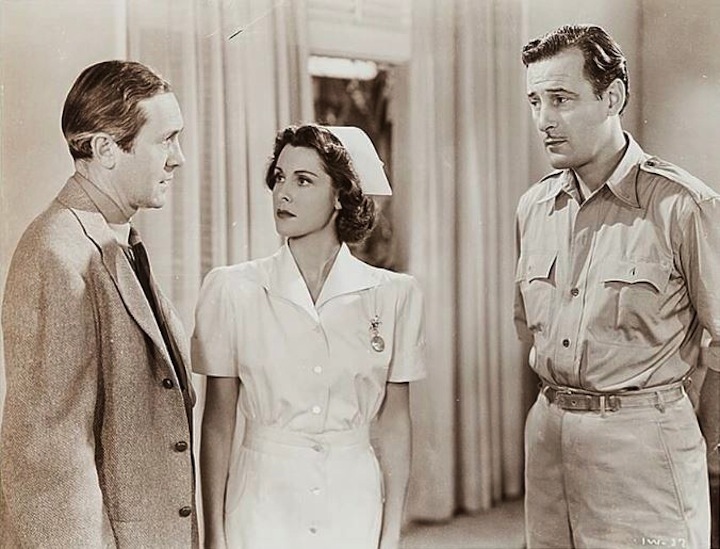 Jessica is married to a wealthy and dashing plantation owner Paul (played by Tom Conway). Both Paul and his half brother, Wesley (James Ellison), love this stricken, silent woman. Just like Jane Eyre, who discovers her boss’s insane wife locked away in the attic, the nurse Betsy falls in love with Paul and has to deal with his wife locked away in her own mind. 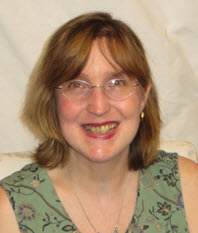 To prove her love for Paul, Nurse Betsy vows to cure Jessica, to restore her to her once-lovely and sensuous personality. Knowing modern medicine can’t create this biological transformation, Betsy depends on the island’s mysticism and voodoo rituals. Walking through the maze of stalks. 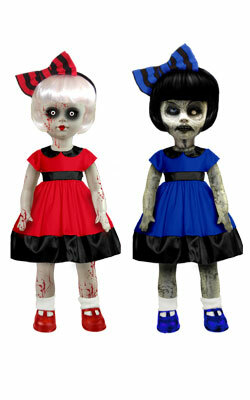 She does, indeed, walk with a zombie — the somnambulistic Jessica — through a darkened, moonlit maze of stalks. She is willing to have Jessica “cured” by voodoo dolls and black magic spells. 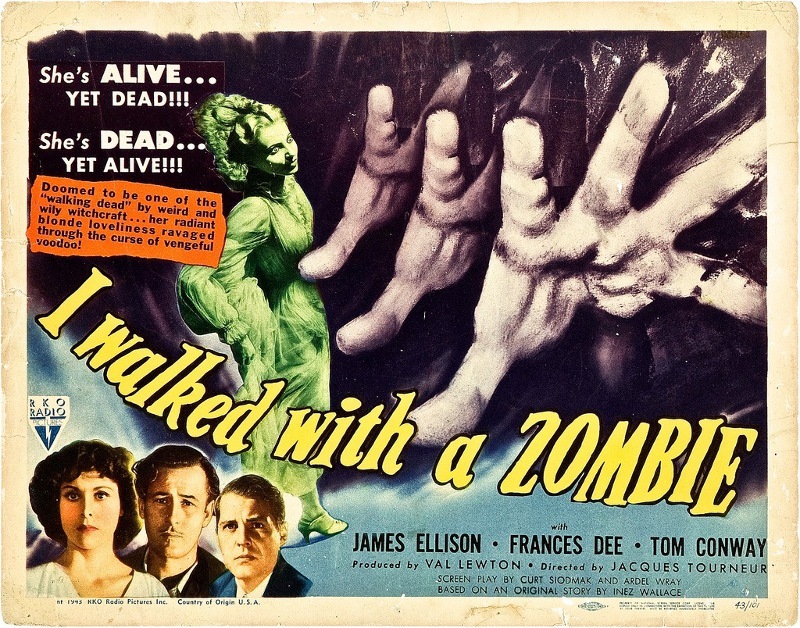 If you haven’t seen “I Walked with a Zombie,” I urge you to rent it for the Halloween holiday. It does not have a slasher vibe or a high body count (requisite for today’s flicks). What it does have is a compelling, atmospheric musical score (courtesy of Roy Webb) and cinematography by J. Roy Hunt that looks like it has stepped out of a half-remembered dream. It blends heightened reality with age-old mythological and psychological symbolism. … bringing the Jessica character to her ultimate destiny. The dolls are there, in the hands of the “natives.” They are dismissed as curious bits of hocus-pocus by the rich white colonials. In the end, these privileged men and women learn that their cynical judgment and their intellectual “superiority” are no match for spirits, for magic, for the island. Rent the movie and discover how the dolls alter the Holland family’s fate. 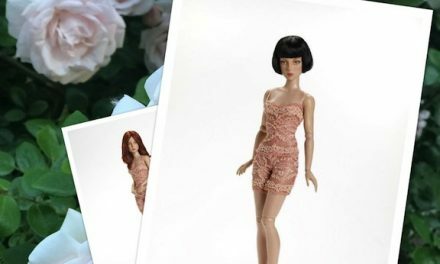 NextDevilish Doll Drama: Lights, Camera, Attack!